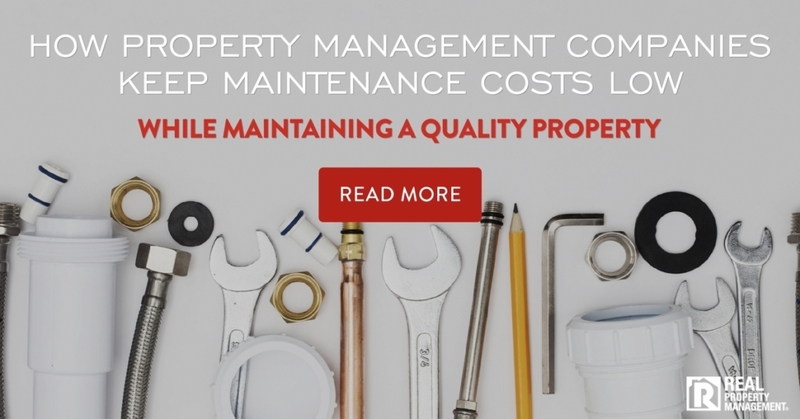 Whether you are doing property management on a small scale or large scale, even the best property managers cannot prevent maintenance repairs or the maintenance emergency calls at 2:00 AM. But among property management companies, Sacramento RPM SAC-METRO, has more than 30 years of experience in the industry, allowing them to give helpful tips and tricks on how to cut down on costly maintenance repairs, and possibly your chances of getting that 2:00 AM wake up call. Just like preventive medicine focuses on the health of people to protect and maintain health and well-being and to prevent disease, disability, and death, preventive maintenance can stop small problems from becoming big ones. And by big ones, we mean ones that not only take a big hit to your bottom line, but ones that can cause major damage to your property and put your renters out of the house for short or extended periods of time. At SAC METRO, we believe that reducing stress on investors and renters by instituting regular inspections of our clients’ properties can help maintain a safe environment for tenants and avoid unnecessary accidents and repairs. We have found that the best time to inspect properties is when the premises is vacant. Our professionally trained and educated leasing team is knowledgeable in both common and uncommon signs that indicate there might be an underlying maintenance problem. If we feel our team is not sufficiently trained in certain maintenance, we bring in expert service technicians. During the turnover process of a property, our staff not only looks for items that need repairs and updates, but also the items that are not obvious to the untrained eye. For example, a bubble of paint on the wall in the bathroom is not something all inspectors in property management in Sacramento, CA, would catch, but at SAC METRO, our team knows that is a sign of a leak or some extent of water damage. They are then able to take proper precautions and schedule proper care of the water damage to ensure your property stays a safe and quality place for tenants. SAC-METRO has found that finding small problems, like a leaking pipe, before it becomes a big problem, like a flood throughout the house, saves our tenants time, money, and stressful situations. A change in seasons comes with a routine maintenance schedule. At the start of the fall season, SAC-METRO inspects rain gutters, heating systems, roofs, and storm drains. Build up of debris in rain gutters and storm drains can cause flooding to the inside or outside of the property. If heating systems are not properly maintained, people could end up without heat during cold winter months, and just like with most people’s luck, it happens on the coldest day of the season. That is an easy way to end up with grumpy tenants. At the start of summer, SAC-METRO ensures sprinkler systems, landscaping, air conditioning, railings on balconies/stairways, playground equipment, and much more are in proper and safe working order. Fire extinguishers are to be recharged and inspected annually along with railings and playground equipment. Often, large apartment buildings will receive unexpected inspections by the local fire department checking on the safety of railings along stairs and walkways, as well as ensuring these areas are well lit. It is imperative to property management companies, Sacramento, to maintain a detailed log of routinely performed maintenance. These logs protect owners against incidentals and help prevent accidents with tenants. Maintaining a detailed log of events is also important for general maintenance requests that we receive from tenants on a daily basis. We record when the request came in, what request was specified, when and who we sent out to inspect, and how the problem was fixed. This protects us and our clients from liability. SAC-METRO advises its clients to set aside one month of rent each year to help fund repairs. For example, if your property brings in $3,200.00 of rent each month, in year one, you should have that amount set aside. Maintenance is to be anticipated whether a property is owner occupied or tenant occupied and whether it is one year old or 50 years old. Our professional leasing team collaborates with expert service technicians to help property investors plan and budget for maintenance costs each year. Well-maintained properties and appliances last much longer than ones that go neglected. The insight gained by communicating with our expert property management in Sacramento, CA, service technicians can shed a lot of light on how much money property owners should set aside. For example, if a washing machine has had multiple repairs over many years, it’s probably a smart idea to set aside a few hundred dollars anticipating it to quit working a some point in the near future. At SAC-METRO, we like to avoid surprises. We have found that proactive maintenance and routine property inspections prove invaluable. Keeping open lines of communication between property management companies Sacramento and tenants helps to catch maintenance problems before they become large ones. SAC METRO aims to provide quick service to keep tenants and property owners happy. The more valued our tenants feel, the more likely they are to renew their lease agreement when it expires. Call today and find out what SAC-METRO can do for you!